Printer labels can be as simple as small white tags. On these you can print just a price or product code. The labels can also be very informative. They can be used for specific industry requirements. 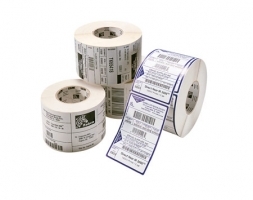 For instance barcoded labels with ingredients or those that can withstand certain temperature ranges. Labels can reflect your corporate image and enhance your product. Shelf edge labels can be used for easy identification of stock in stores where stock counts occur. Labels can also show customers you are clear and legal in your sales operations.